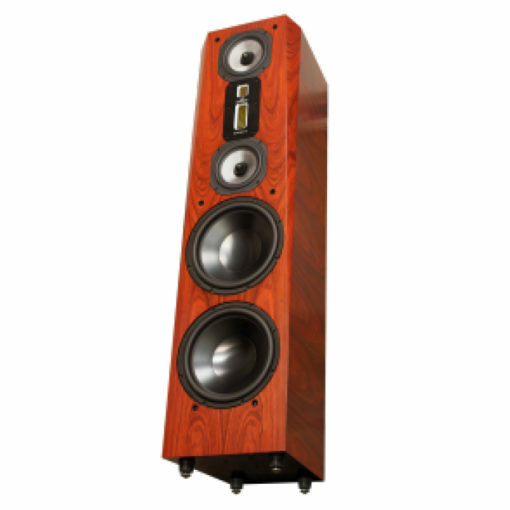 While the Classic was the speaker that first put Legacy Audio on the map, it was the FOCUS that shook up high end audio with world class performance in a full range speaker just over $10,000. For Legacy Audio’s 25th anniversary, Chief Designer, Bill Dudleston pulled out all the stops for the new Silver Edition version, FOCUS SE. “I started by re-sculpting the cabinet, making it a bit narrower, yet deeper. I stiffened and angled the sidewalls, front baffle, and cabinet top to avoid parallel surfaces and potential standing waves. Facets were machined into the cabinet corners to progressively narrow the baffle with rising frequency. Even the grille of the FOCUS SE has been sculpted to prevent diffraction. While the driver tolerances on the FOCUS are a stringent +/- 1dB of the target function, the FOCUS SE drivers are then performance matched to +/-0.25 dB. The measurement data is then recorded in our database and archived by serial number.